How long will change take? Should we all just settle in and “wait for a new generation”? In keeping with our Star Wars theme this week, today we discuss their strong female characters and how well the series passes the Bechdel Test. Today we finally have the follow-up to the infamous “Stand on a Chair” episode wherein Chris Fenwick and I discussed the importance of standing out. Show regular JD Cochran has a bone to pick with us about how we did it. In these hard and harrowing times, there is always hope. A special “Breaking the Glass” post-election episode. Along with a special message to the creative arts industry. More personal stories about what it’s like working with men (and women) in this crazy business, and the lessons studios can learn. Chris Fenwick is back to provide valuable insight into succeeding in this business as a professional creative. But there’s a twist at the end that ties this issue to the gender equality discussion. This week we have heart-breaking, frustrating, and unbelievable stories of double standards in the movie business. Perhaps one of the reasons the gender inequality issue in the entertainment business is so pervasive is how we men interact with one another. The inaugural episode of short film docu-series tackles the subject that started it all. Should women act like men to get ahead in the business? 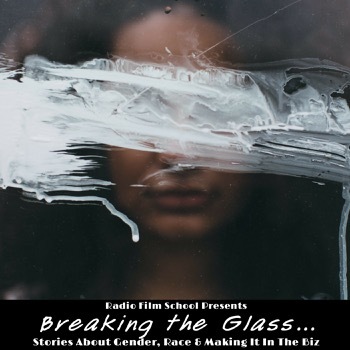 A provocative new Radio Film School podcast and short film docu-series addressing the issues of gender inequality in film and television. 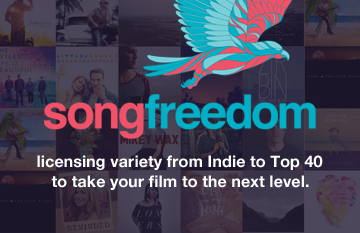 Visit the main series page to learn more.